You don't need to worry on how to get airtime to make calls, subscription or text message. 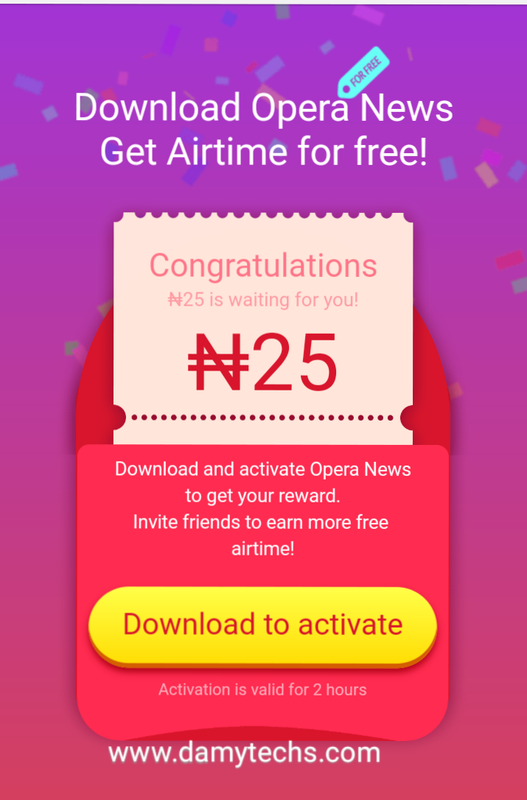 Here comes an opportunity earn upto ₦500 Worth airtime by simply using an app called Opera News App. 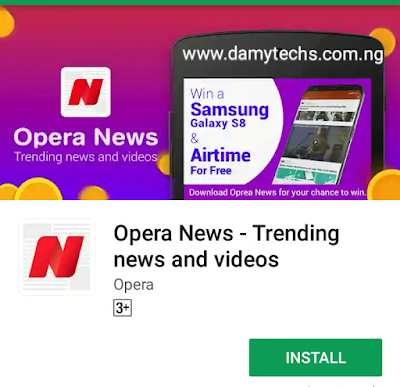 Opera news app was created and launched by the same company of the popular Operamini browser we know. 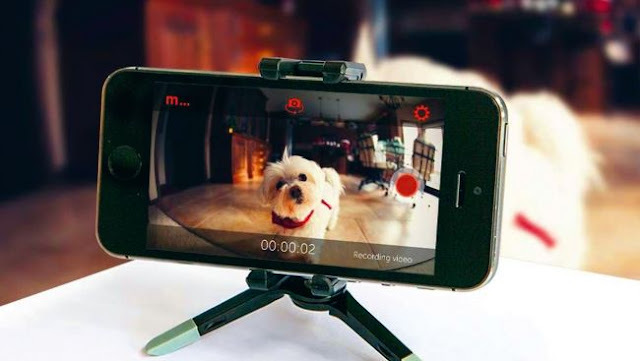 Just like Mcent and other apps that gives out token of airtime recharge daily for completing a particular task. 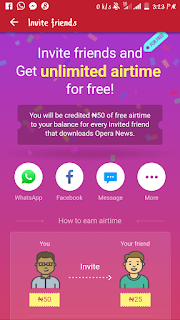 Opera news app is a very useful news generating application that picks up the latest and interesting news from different sources then displays the new for users to easily read through. 2. Keep your eyes open for the giveaway post in the Opera News newsfeed. 3. Click on it & fill out the form! 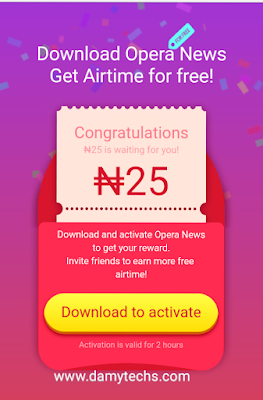 When you download the app HERE and activate within 2hours you earn ₦25 instantly. You refer a friend and you will earn ₦50 , while that friend will get ₦25. If you can refer up to 10 friends per day then you stand a chance of earning more than 500 total. Get started now by - install opera news . And invite your friends through the referral link that will be given to you after the installation. I believe that this post is self explanatory right?. Why not click the share button if you love us!.